Tesco has just received the go-ahead for a new store in Swaffham, Norfolk where the council are hoping that the central location for this development will act as a catalyst brining local shoppers back into the town and increasing footfall. The new store is set to open on Castle Acre Road, close to Eco Tech Park during 2013. A recent survey concluded that almost half of the locals asked shopped outside of town whereas 36 per cent of those said they would visit the town if the proposals for Tesco went ahead. The 25,000 square foot store will provide 150 new jobs for the local community, and intended to promote the town. The locals are also generally positive about the prospect of a new Tesco store where 75 per cent of the 800 locals who attended the public consultation were in favour of the plans. 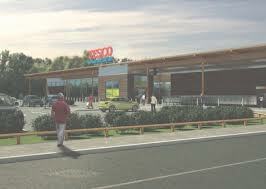 Tesco spokesman confirmed their proposals have been produced working closely with the council and community and hoped that the new store would offer more choice for shoppers in Swaffham, provide job opportunities and help to get more people into the town to shop. Click here to know more about Tesco jobs!